It’s really hard to find scallops at a decent price now days. My fish monger can get me Dry Pack Bay Scallops at a great price, so I went with it. 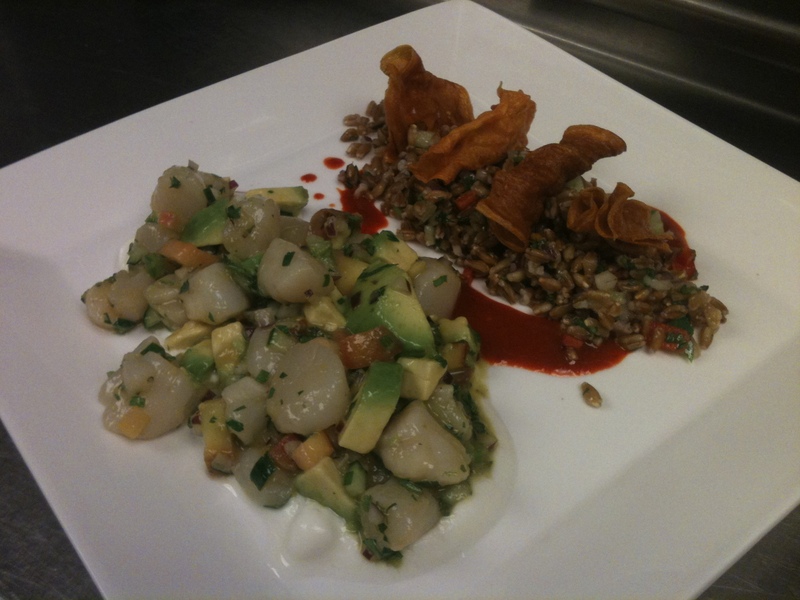 This is Bay Scallop Ceviche` with Pickled Peaches, Avocado, Farro Salad, Guajillo Chili, and Yogurt. This entry was posted on June 24, 2011 at 9:41 am and is filed under Chef with tags Bay Scallops, Ceviche, Guajillo Chili. You can follow any responses to this entry through the RSS 2.0 feed. You can leave a response, or trackback from your own site.